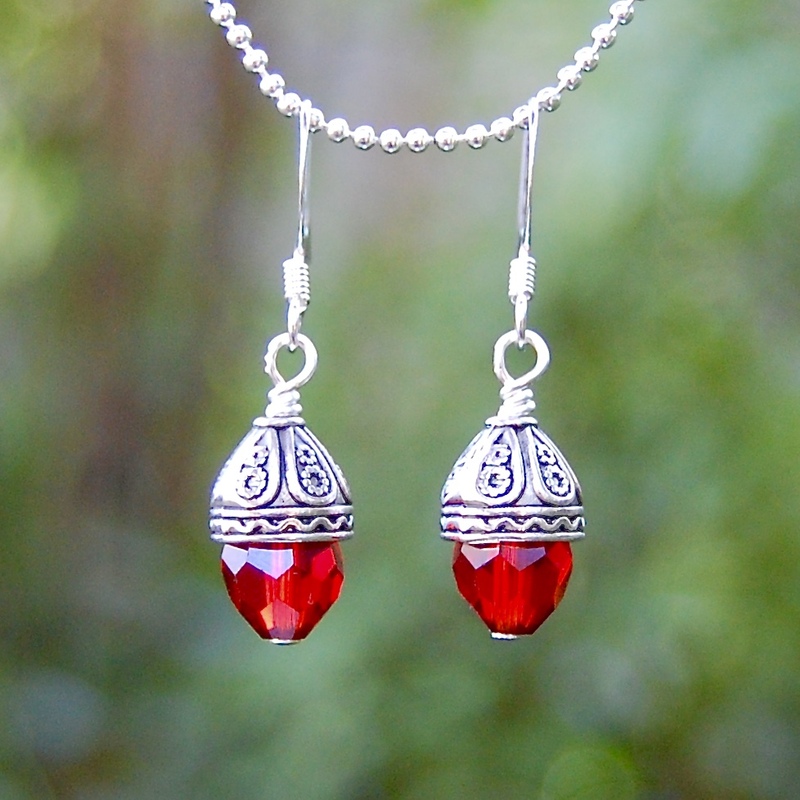 These red crystal drop earrings are uniquely crafted and wire wrapped by hand for quality and strength. 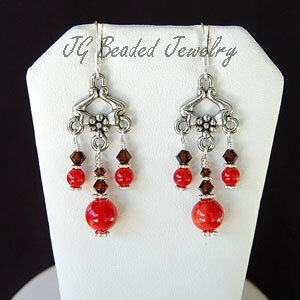 They are designed with red faceted crystals and fancy silver beads. They are great for any occasion whether it be for work, going out on the town or for everyday wear. Simple, cute and they somewhat resemble acorns! The length of these crystal drop earrings is approximately 1.25″ from the top of the earring wire. 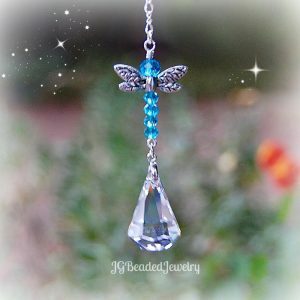 The earrings are lightweight and alternate colors may be available upon request. ♥ Find more earrings here!